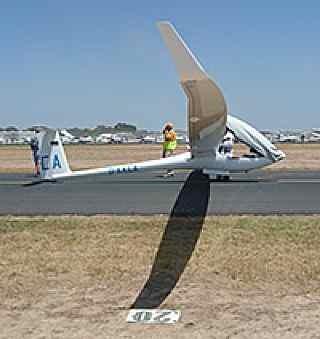 electric Antares 20E, with the wing extended to 23m, but maintaining the super ellipse plan form and thin profile. The max weight is increased to 850kg, providing a loading range from 32kg/m² to 58kg/m². This is new territory for the open class and we would have to learn the techniques to optimise handling, speed and performance at all weights. Whilst new to the open class, Lange Aviation has been developing fuel cell powered machines for the DLR project where 65kg/m² is considered a relatively low wing loading. New again was the Solo 2 stroke turbo engine, a beautiful new ‘light weight, low-vibration set-up with large propeller and step down gearing for significantly increased output, but incredibly simple operation. 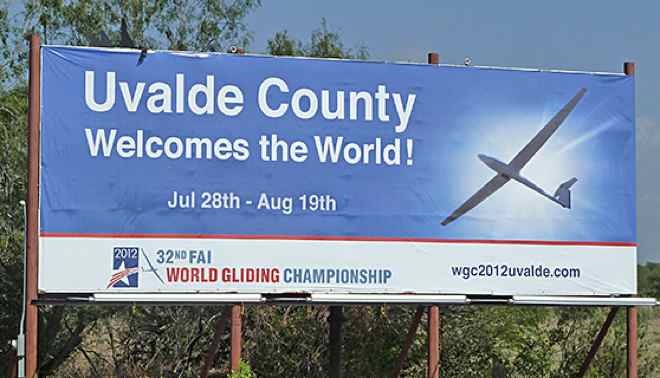 Unfortunately, with shipping to Texas, we ran out of time and took the decision to fly as a glider. Very retro! Completing the Lange team was Ludwig Starkle’s Antares 23E to be flown by fellow Austrian pilot Josef Kammerhofer. The new 23m wing on the proven 20m electric powered fuselage. the machine would be ready and would I be interested in flying it in Texas? Texas and the new Antares 23 What a project!